Doublecheck to be sure those classes are still offered! 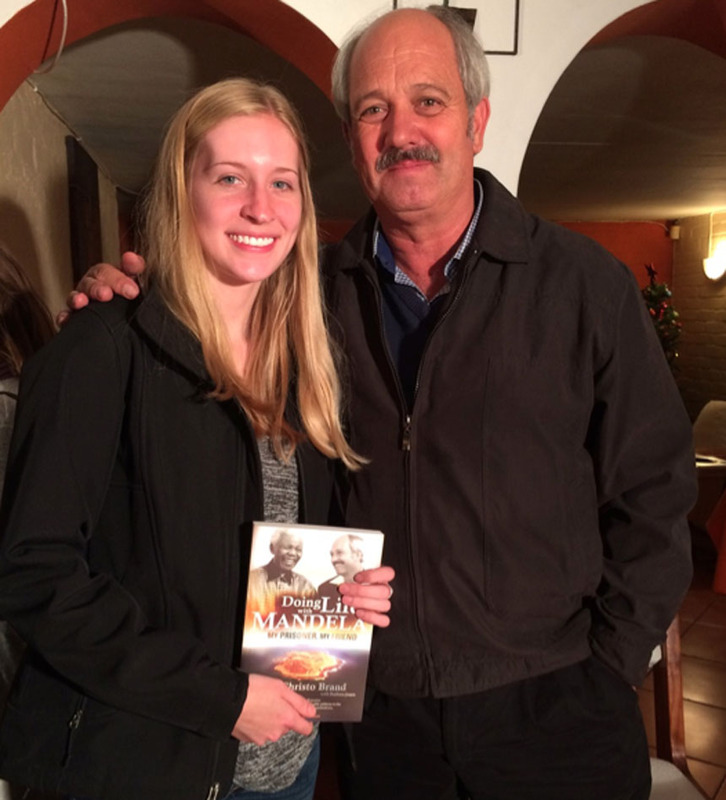 During her study abroad semester in Capetown, South Africa, Hannah Middleswart met Christo Brand, who was the prison warder for Nelson Mandela when Mandela was imprisoned on Robben Island. Imagine arriving in South Africa for a semester of study abroad, only to discover that the classes you planned to take for your major were no longer offered! 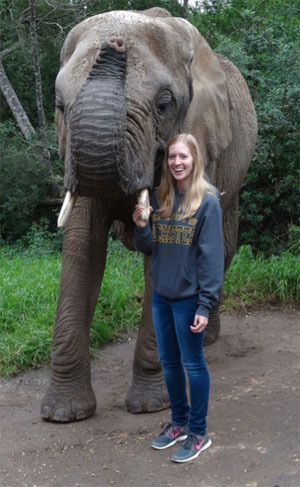 That happened to Hannah Middleswart ’17 of Chemical Engineering this past fall when she participated in the IES Abroad program at the University of Cape Town. Engineering students don’t have that much wriggle room in their schedule to begin with; to lose a whole semester would be a major setback. But Hannah found a solution. She also witnessed a massive student protest that shut down the UCT campus and delayed final exams in response to increased college fees and the college’s outsourcing of labor. “It was inspiring to see that the students had such passion to change the things they saw as unjust, and to see the progress from the movement,” Hannah said. 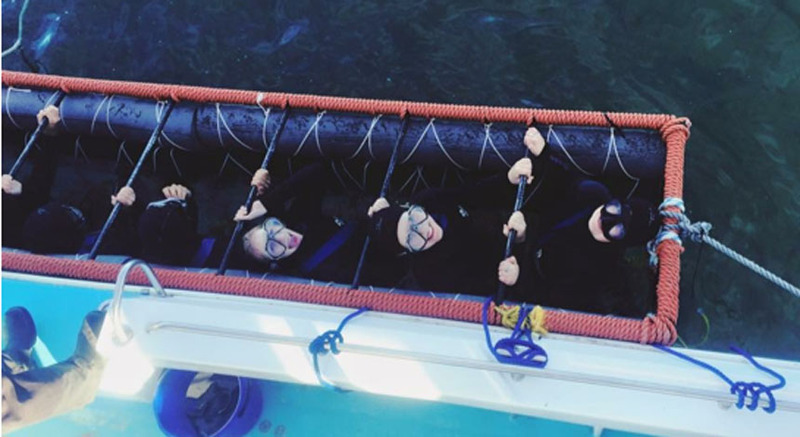 Hannah and her friends engage in shark cage diving at Gansbaai, just outside of Cape Town.